Recently friends of mine experienced a very great loss and tonight I find myself searching for the right words to say. The very best that I can offer them is “I’m so very sorry.” However, what I really want to do is to make things better and yet I am powerless to do so. Though I know that nothing can “fix” things I had to do something for them and so early this morning, I brought these friends a gift of food. 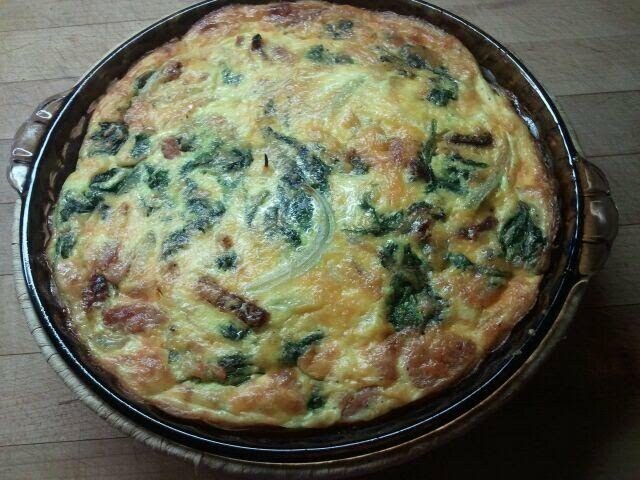 It was a simple frittata, baked with love. I want them to know that they are in my thoughts and that I share in their sadness.